In till date, various smart phones are in market. It’s very difficult to choose good one for us. 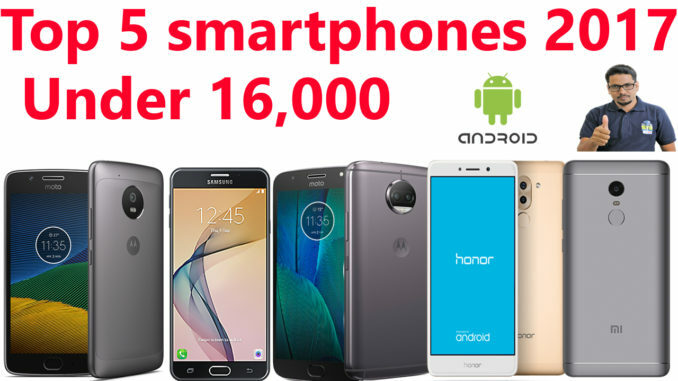 There are many more features comes in various budget of the smart phones.so we will discuss the top 5 smart phones in the budget range of 16,000. It’s a best smart phone in this price range. 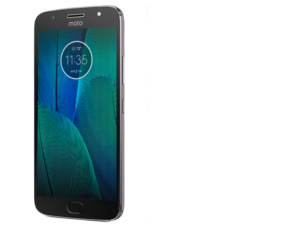 Moto G5 is a part of Motorola company. Motorola was an American multinational telecommunications company founded on September 25, 1928, based in Schaumburg, Illinois. the company was divided into two independent public companies, Motorola Mobility and Motorola Solutions on January 4, 2011. Motorola Mobility was acquired by Lenovo in 2014.
this smartphone powered by 1.4GHz octa-core Qualcomm Snapdragon 430 processor and it comes with 3GB of RAM. The phone have16GB of internal storage that can be expanded up to 128GB via a microSD card. Now comes to camera department Motorola Moto G5 comes with a 13-megapixel primary camera on the rear and a 5-megapixel front for selfies. The phone comes with a 5.00-inch touchscreen display with a resolution of 1080 pixels by 1920 pixels at a PPI of 441 pixels per inch. Motorola Moto G5 runs Android 7.0 and is powered by a 2800mAh removable battery. It measures 14.4 x 7.3 x 1 (height x width x thickness) and weigh 145.00 grams. As per Connectivity technologies it has GSM, (850/900/1800/1900 MHz), UMTS, HSPA+(850/900/2100 MHz), 4G LTE, B1, (3/5/8/40), GPRS, EDGE. Moto G5 is a dual SIM (GSM and GSM) smartphone that accepts Nano-SIM and Nano-SIM. As per the Sensors on the phone include Proximity sensor, Accelerometer, Ambient light sensor and Gyroscope. It’s a best smart phone in this price range. 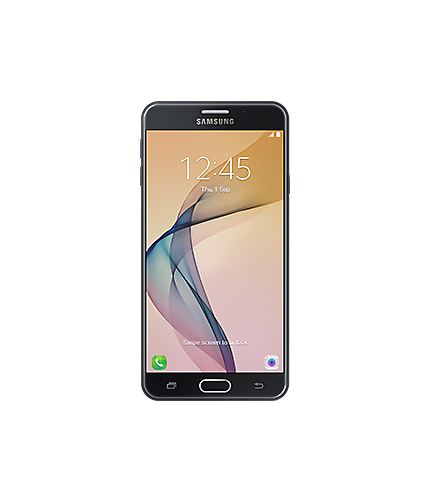 Samsung Galaxy J7 Prime is a part of Samsung mobile family. Samsung Group is a South Korean multinational company. Samsung was founded by Lee Byung-chul in 1938 as a trading company. This smartphone is powered by 1.6GHz octa-core Exynos 7870 processor and it comes with 3GB of RAM. The phone has 32GB of internal storage that can be expanded up to 256GB via a microSD card. Now comes to camera department, the Samsung Galaxy J7 Prime packs a 13-megapixel primary camera on the rear and a 8-megapixel front for selfies. Samsung Galaxy J7 Prime smartphone was launched in September 2016. The phone comes with a 5.50-inch touchscreen display with a resolution of 1080 pixels by 1920 pixels at a PPI of 401 pixels per inch. 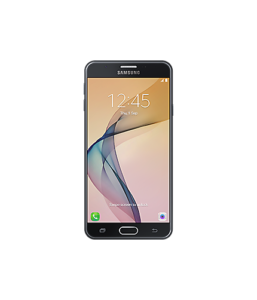 The Samsung Galaxy J7 Prime runs Android 6.0 and is powered by a 3300mAh non-removable battery. It measures 16 x 8.4 x 4.4 cm (height x width x thickness) and weigh 167.00 grams. As per Connectivity technologies it has wifi, edge, 4g, 3g, bluetooth, hotspot, 2g, GPRS.The Samsung Galaxy J7 Prime is a dual SIM (GSM and GSM) smartphone that accepts Nano-SIM and Nano-SIM. Connectivity options include Wi-Fi, GPS, Bluetooth, USB OTG, FM. As per the Sensors on the phone include Fingerprint, Proximity sensor and Accelerometer. It’s a best smart phone in this price range. Moto G5S is a part of Motorola company. Motorola was an American multinational telecommunications company founded on September 25, 1928, based in Schaumburg, Illinois. the company was divided into two independent public companies, Motorola Mobility and Motorola Solutions on January 4, 2011. Motorola Mobility was acquired by Lenovo in 2014. This smartphone powered by 2GHz octa-core Qualcomm Snapdragon 625 processor and it comes with 4GB of RAM. The phone has 64GB of internal storage that can be expanded up to 128GB via a microSD card. 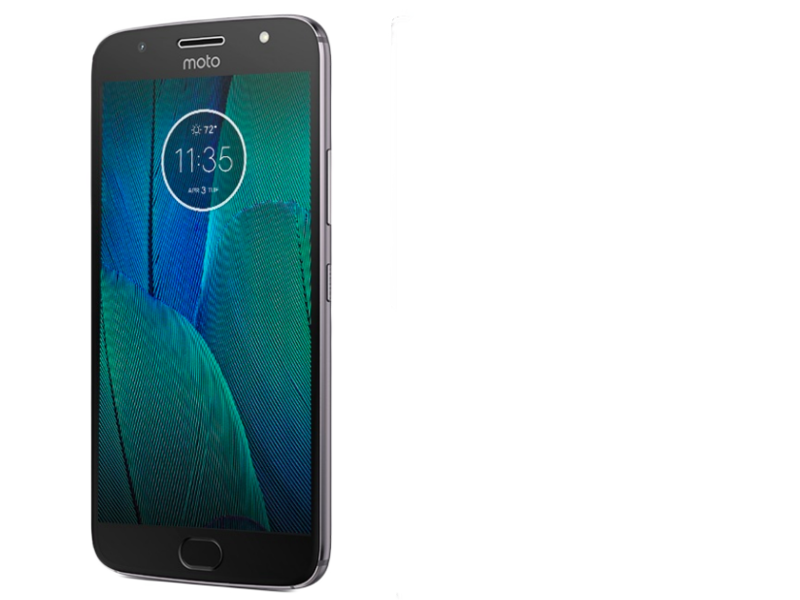 As far as the cameras are concerned, now comes to camera department Moto G5S comes with a Dual cameras 13+13-megapixel primary camera on the rear and a 8-megapixel front for selfies. The phone comes with a 5.50-inch touchscreen display with a resolution of 1080 pixels by 1920 pixels. 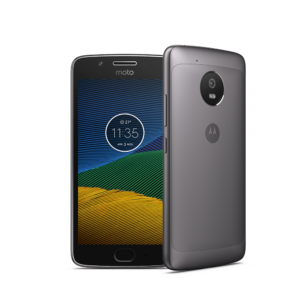 The Motorola Moto G5S Plus runs Android 7.1 and is powered by a 3000mAh non-removable battery. It measures 15.4 x 0.8 x 7.6 cm (height x width x thickness) and weigh 168.00 grams. 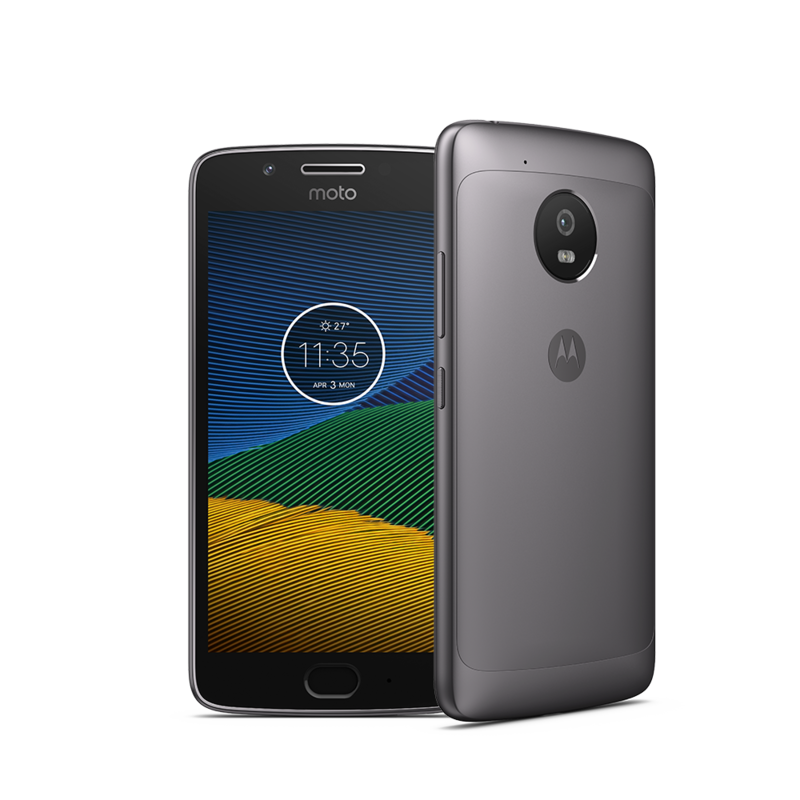 As per Connectivity technologies GSM, (850/900/1800/1900 MHz), UMTS, 3G, (2100/850/900 MHz), 4G LTE.The Motorola Moto G5S Plus is a dual SIM (GSM and GSM) smartphone that accepts Nano-SIM and Nano-SIM. As per the Sensors on the phone include Fingerprint, Proximity sensor, Accelerometer, Ambient light sensor and Gyroscope. It’s a best smart phone in this price range.Huawei Honor 6x is a part of Huawei family with sub brand Honor. 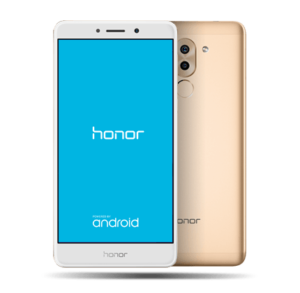 Honor, a sub-brand under the Huawei Group, was conceived in late 2011 and established in 2013.It is a Chinese telecommunications company and It is also one of the big smartphone manufacturers from China. This smartphone powered by 1.7GHz octa-core Kirin 655 processor and it comes with 3GB/4GB of RAM. The phone has 32GB/ 64GB of internal storage that can be expanded up to 128GB via a microSD card. It comes with Hybrid sim slot. You can use 2 simcard or one sim and one microSD card at a time. Now comes to camera department Huawei Honor 6X comes with a Dual cameras 12+2 megapixel primary camera on the rear and a 8-megapixel front for selfies.You can gets much more camera features as like a DSLR camera.this phone is known as a camera phone. The phone comes with a 5.50-inch touchscreen display with a resolution of 1080 pixels by 1920 pixels.with 401dpi. The Huawei Honor 6X runs Android 7.0 and is powered by a 3340mAh non-removable battery. It measures 15.1 x 0.8 x 7.6 cm (height x width x thickness) and weigh 163.00 grams. As per Connectivity technologies GSM, (850/900/1800/1900 MHz), 3G, WCDMA, (1/5/6/8/19), 4G, FDD, (1/3/5/7/8/19/28), GPRS, EDGE, WiFi. 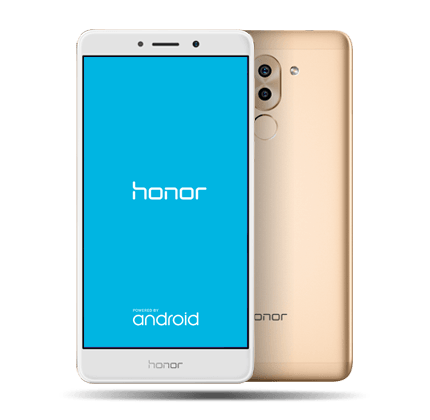 The Huawei Honor 6X is a dual SIM (GSM and GSM) smartphone that accepts Nano-SIM and Nano-SIM. As per Sensors on the phone include Fingerprint, Compass Magnetometer, Proximity sensor, Accelerometer, Ambient light sensor and Gyroscope. It’s a best smart phone in this price range. Redmi Note 4 is a part of Xiaomi company. Xiaomi is a privately owned Chinese electronics and software company headquartered in Beijing. It is the world’s 5th largest smartphone maker in 2017. Xiaomi designs, develops, and sells smartphones, mobile apps, laptops, and related consumer electronics. this smartphone powered by 2GHz octa-core Qualcomm Snapdragon 625 processor and it comes with 3GB/4GB of RAM. The phone packs 32GB/64GB of internal storage that can be expanded up to 128GB via a microSD card. It comes with Hybrid sim slot. You can use 2 simcard or one sim and one microSD card at a time. 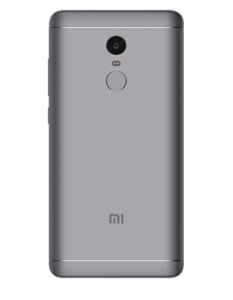 Now comes to camera department Xiaomi Redmi Note 4 packs a 13-megapixel primary camera on the rear and a 5-megapixel front for selfies. 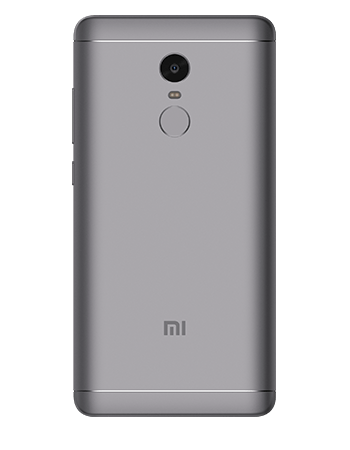 Xiaomi Redmi Note 4 comes with a 5.50-inch touchscreen display with a resolution of 1080 pixels by 1920 pixels at a PPI of 401 pixels per inch. The Xiaomi Redmi Note 4 runs Android 6.0 and is powered by a 4100mAh non-removable battery. It measures 15.2 x 6.4 x 5.1 cm (height x width x thickness) and weigh 175.00 grams. As per Connectivity technologies it has 2G- GSM 900 / 1800 / 1900 – SIM 1 & SIM 2 | 3G- HSDPA 850 / 900 / 1900 / 2100 | 4g- LTE band 1(2100), 3(1800), 4(1700/2100), 5(850), 7(2600), 8(900), 20(800), 38(2600), 40(2300) | Speed- HSPA, LTE .it is a dual SIM (GSM and GSM) smartphone that accepts Micro-SIM and Nano-SIM. As per the Sensors on the phone include Compass Magnetometer, Proximity sensor, Accelerometer, Ambient light sensor and Gyroscope.